We're roughly one week away from the 2014 FIFA World Cup kickoff and there's no better time than now to start previewing and analyzing every single group that was drawn into this first stage of the tournament. The first one is obviously Group A, where the host nation Brazil will try to dictate their terms against Croatia, Mexico and Cameroon. A total of 32 teams were divided into 8 different groups and they will all be fighting for a ticket for the World Cup's last-16 stage. With the tournament starting right next week on June 12, we'll start by bringing you a quick analysis of Group A, where we can find Brazil, Croatia, Mexico and Cameroon. On a first look, it might seem that the hosts Brazil will have their job facilitated, but as we look closely into their opponents' weaknesses and strengths, we feel forced to say that this might end up being one of the most competitive groups in this tournament. Nevertheless, our picks to go through in Group A are Brazil and Croatia, precisely the two teams who will step onto the pitch in São Paulo on June 12, for the 2014 FIFA World Cup opening match. One could say that they need no introduction, but even that being the case here, we'll still try to outline a few major points from this Brazilian Team generation. The 5-times World champions come into this tournament rated as the top favorites to lift the much-wanted trophy next July 13, even though they are currently ranked 4th in the FIFA/Coca-Cola World Ranking table. They won't have an easy task in Group A, as they'll have to battle against a very talented Croatia side, an always aggressive Mexico team and the quite unpredictable threat from Cameroon. As usual in such small group-size stages, the first game can turn out to be crucial and anything other than a win against Real Madrid's Luka Modric and his teammates, might complicate Brazil's life in this World Cup. 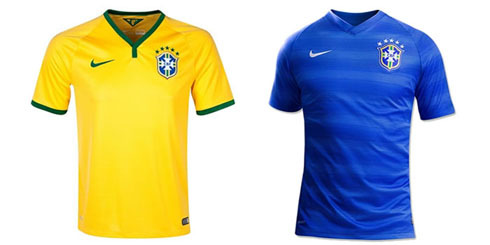 Brazil XI: Julio Cesar; Marcelo, Thiago Silva, David Luiz, Daniel Alves; Fernandinho, Ramires, Oscar; Hulk, Neymar, Fred. 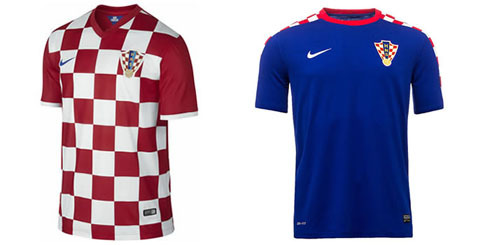 As it usually happens with many Balcan teams, Croatia brings a squad full of raw talent into this World Cup. They never won any major international tournament before and they are currently ranked the 20th strongest team in the FIFA's World rankings. In terms of betting odds, most of the sports bookmakers out there don't seem to believe that this team has what it takes to pull off a big surprise this year, and they're offering a 151 payoff factor for every euro/dollar put on Croatia winning the World Cup. As mentioned previously, they'll debut in the tournament against Brazil on June 12 and if for any reason the hosts decide to underestimate Croatia's true value, we might very well witness a shocking surprise right in the opening round. The Croatian Team will count with several experienced players such as Real Madrid and Sevilla midfielders Luka Modric and Rakitic, but also with Bayern Munich forward Mario Mandzukic and the former Arsenal star, Eduardo. Croatia XI: Pletikosa; Srna, Corluka, Schildenfeld, Vida; Ivan Rakitic, Luka Modric, Vukojevic, Kovacic; Olic, Mandzukic. 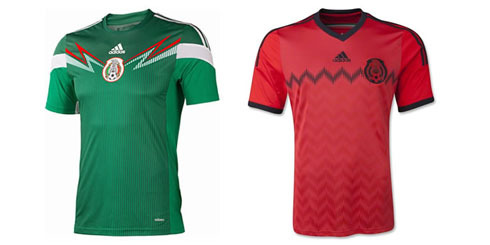 Mexico only managed to qualify into this FIFA World Cup after going through a 2-leg playoff round against New Zealand. Their campaign in the CONCACAF group stage was from being brilliant, as they've finished it in 4th place, behind the United States, Costa Rica and Honduras. 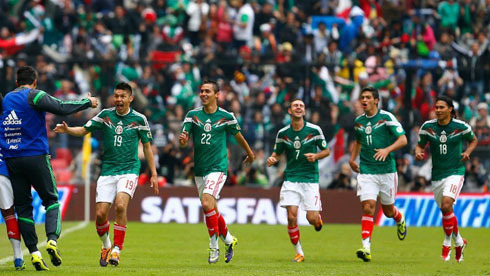 Nevertheless, they come up ranked in the 19th place at the FIFA World Rankings and just like Croatia, bookies are also offering a 151 payoff factor for those who believe in Mexico's chances of winning the World Cup. No one doubts that the Mexico National Team is always filled with talented and very competitive players. Their poor campaign in the qualifiers for this FIFA World Cup might actually help them easening the pressure and the big expectations coming from their nation's fans and media, and that's something that can surely turn out to play to their favor. With Carlos Vela unavailable to give his contribute to the Mexico Team in this World Cup, it's up to Manchester United's forward Javier Hernandez ("Chicharito") and Villarreal's Giovani dos Santos to become their nation's leaders on the pitch and try taking them at least into the last-16 stage. Mexico XI: Talavera; Moreno, Layun, Reyes, Salcido; Vazquez, Herrera, Giovani dos Santos, Guardado; Javier Hernandez, Jimenez. The Cameroon National Team had to go through a 2-leg playoff against Tunisia, and all this in order to earn their ticket for the upcoming FIFA World Cup. They've beaten them with a clear 4-1 result on aggregate and just like any other team in this tournament, they're looking forward to make a good impression. They are ranked in 50th on the FIFA World Rankings standings and for those of you dreaming of making some good money this summer, you can win 500 euros if you put 1 euro on Cameroon winning the World Cup. Cameroon are often perceived as a 1-man team, since it's usually Chelsea's Samuel Etoo who draws most of the spotlight and attention when this nation's name comes to mind. However, and from the 23-man squad list that will be in Brazil this summer, only two players are still playing in Cameroon. All the other 21 athletes are already competing in European leagues for quite a while and the 33-year old Samuel Etoo will surely get some valuable help from teammates like Barceona's midfielder Alex Song or Joel Matip from Schalke 04. 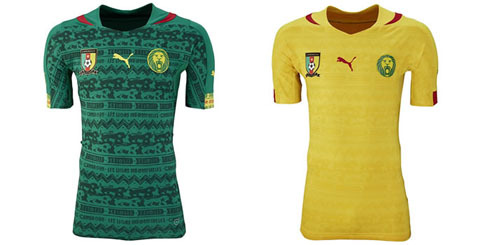 Cameroon XI: Itandje; Assou-Ekotto, Djeugoue, Nkoulou, Enoh; Mbia, Song, Moukandjo, Matip; Samuel Etoo, Webo. Cristiano Ronaldo next game will be an international friendly between Portugal and Mexico, scheduled for June 6 of 2014, in Boston. You can watch Juventus live stream, Mexico vs Portugal, Spain vs El Salvador, Brazil vs Serbia, and Germany vs Armenia, all matches provided from our soccer live pages.